LEGO fan and flickr.com user Tirrell Brown a.k.a. Blufiji recently shared this amazing historical fantasy creation in his photo-stream. 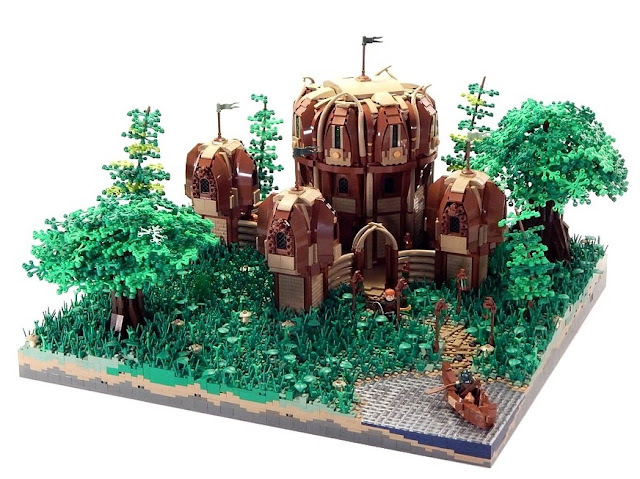 According to the description this MOC was built for the Guilds of Historica in Eurobricks forums. The shaping of the fortress and the colors are very unique. I especially like the usage of tan colored animal tail pieces around the main structure and the wall. The vegetation around the main building is also built beautifully.